We're not quite there yet, but fall is clearly on the way. Orange school buses flash amid the morning traffic and school supplies are advertised everywhere. When I went to school in the dark ages, we carried slide rules and pencil cases instead of calculators, and watching a movie or video in school was a major event. We had no nylon backpacks or sneakers, but carried leather junior briefcases and wore leather saddle shoes. Even today, the smell of new leather on a crisp fall morning can buckle my knees with nostalgia. Time to stop eating lotus, put away the flip-flops, and look around at what's happening this fall. Fortunately, new book releases (new books, another wonderful smell!) abound. Here are a few I'm looking forward to reading this season. I enjoy Deaver's clever Lincoln Rhyme series, featuring the genius paraplegic forensics expert and his policewoman lover Amanda, but have never read any other of the author's works. In this standalone thriller that takes place over a three-day weekend, Gabriela MacKenzie is waiting for a phone call from the kidnappers of her daughter. The kidnapper wants not only money, but a secret list left by Gabriela's investment-broker boss when he fled criminal prosecution. "As the ingenious plot folds back on itself, the reader has to reevaluate and reinterpret the constantly shifting 'facts' in the case." Every season needs one really good puzzle, and this one just might keep me talking to myself for awhile. It has been several years since The Thirteenth Tale, the author's debut novel, took the U.S. by storm, and I had given up looking for another of her curiously haunting tales. Now, just in time for a cool fall evening with the wind creaking in the branches, comes her sophomore effort, set in Victorian England. "Young William Bellman recklessly aims his slingshot at a rook resting on a branch, killing the bird instantly. It is a small but cruel act, and is soon forgotten...But rooks don't forget." Edgar Allen Poe might have enjoyed this tale of Victorian mourning and vengeance. I certainly hope to, one spooky fall evening. This is the eighth in the charming series featuring archaeologist Faye Longchamp, owner of an island––Joyeuse––and a weatherbeaten plantation house of the same name in the Florida panhandle. The previous stories, each highlighting different bits of history, have all been set in the Southeast. This time, Fay and husband Joe Wolf Mantooth have a contract in Rosebower, New York. The town was originally founded by spiritualists, and spiritual tourism still provides a living for many residents. When a woman dies in Faye's arms who the police say died in a fire miles away, what is Faye to think? 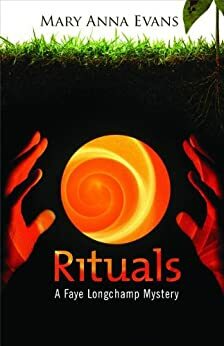 Psychics, ghost hunters, and charlatans should provide for a lively story. The town of Rosebower is likely based on an actual community of spiritualists and psychics named Lily Dale still operating in New York State, whose permanent residents must prove that they are healers or psychics. While this is neither a new release nor a mystery, I was so enchanted with the author's Longbourn (Knopf, October 8, 2103) that I immediately ordered this tale of a young woman suffering from postpartum depression and grief as she cleans out her parents' retirement cottage, stuffed with decades of books and memorabilia, after their deaths. While doing so, she becomes aware of the voice of an 18th-century occupant, and the book follows the dual stories of these two women, loosely connected by place. It is described by reviewers as "not quite a ghost story," but if it is even close to as readable as Baker's latest, it should be very pleasant reading. In most books published by Quercus, readers can expect a lot of information to chew on, and this debut novel by a Scandinavian author is no exception. 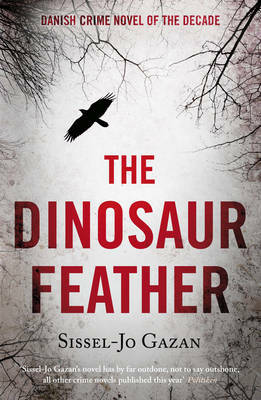 In what is hyped as the "Danish Crime Novel of the Decade" (bit early for that, isn't it? ), Anna Bella Nor, single mother and aspiring biologist, is only weeks away from defending her thesis on the origin of birds, when her supervisor is murdered in a particularly gruesome way. Part of what drew me to this book is that Police Superintendent Soren Marhauge is described in a review as "not a drunk"––a welcome aberration in the sub-genre. I'm hoping it is a little less bleak than many from the frozen North, and look forward to picking up some bits of information about the not-yet-completely-settled controversy of birds as direct descendants of dinosaurs. 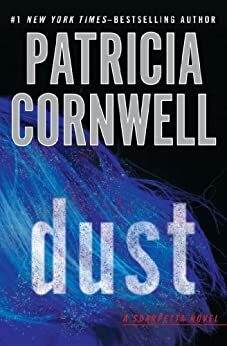 After moving away from the author's Scarpetta stories for several years, it may be time to take another look. Most series falter and go stale after a time. Some recover, but very many do not. In series featuring serial killers (which this is), it must be tough to come up with new plots and keep them fresh. "The body of a young woman has been discovered on the Massachusetts Institute of Technology's rugby field. The victim, a graduate student named Gail Shipton, is oddly draped in unusual cloth and posed in a way that is too deliberate to be the killer's first strike. A preliminary examination in the sea of red mud where the body has been left also reveals a bizarre residue that fluoresces blood red, emerald green and sapphire blue." Rick Montoya has accepted a job as a translator, moving from Santa Fe to Rome. A friend recruits him to do undercover work for the Department of Antiquities. I just finished the sample of this debut novel and promptly ordered it. 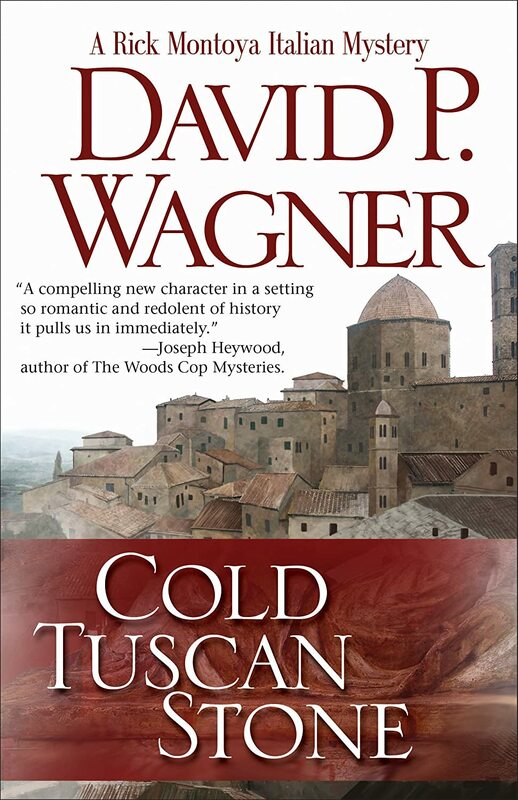 In the first chapter, a potential buyer is inspecting a funerary urn pillaged from an Etruscan 4th century B.C.E. grave. The setting is dark and dangerous; I could almost see the urn shining in the poorly-lit basement room in Milan, with the thick fog swirling outside. If the rest of the book lives up to the atmospheric sample, the author can't write quickly enough for me! We at Read Me Deadly will be writing reviews of many of these selections in the coming months, so stay tuned. So many good books, and so little time! 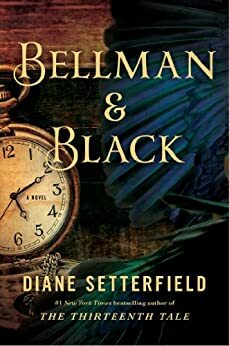 I am so incredibly excited about BELLMAN & BLACK! I loved THIRTEENTH TALE and it has been ages since that was released. The Quercus US list is also something I'm particularly interested in. I'm just so glad that they're releasing here. Some of their fall list has been on my personal wishlist for ages (Alison Littlewood's A COLD SEASON in particular). Becky, it has been a long wait from Setterfield, and I'm rubbing my hands in anticipation. I took a look at A COLD SEASON and it looks like a perfect fall read! Anne, I will post after reading DUST, if I finish it. Hope springs eternal, and the early Scarpetta novels I thought were excellent. Looks like the leaves are gonna pile up this year as I read the list rather than rake. Gee I thought I was the only one a little disgrunteled with Ms Scarpetta's recent adventures.